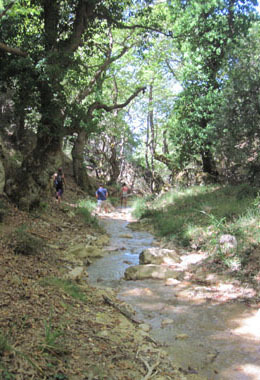 Within a stone's throw away you will find the path which follows the stream Ladopotamo. You will be enchanted as you discover small waterfalls, natural pools inviting you to have a water massage, and charming picnic areas. You can make arrangements to go horse riding accompanied by experienced guides in co-operation with Artemis Horse Riding and enjoy a ride in the surrounding hills.